Form Tools 2.1.0 was designed alongside a separate module called the Custom Fields module. 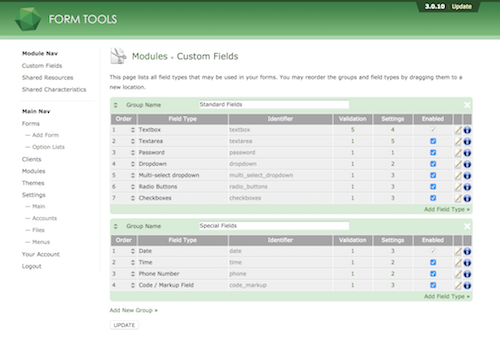 It was written to provide an interface to create and customize the actual field types. The Custom Fields module is intended for web developers only. You will need some technical experience in order to develop and customize Form Tools field types. Click here to go to the module documentation.